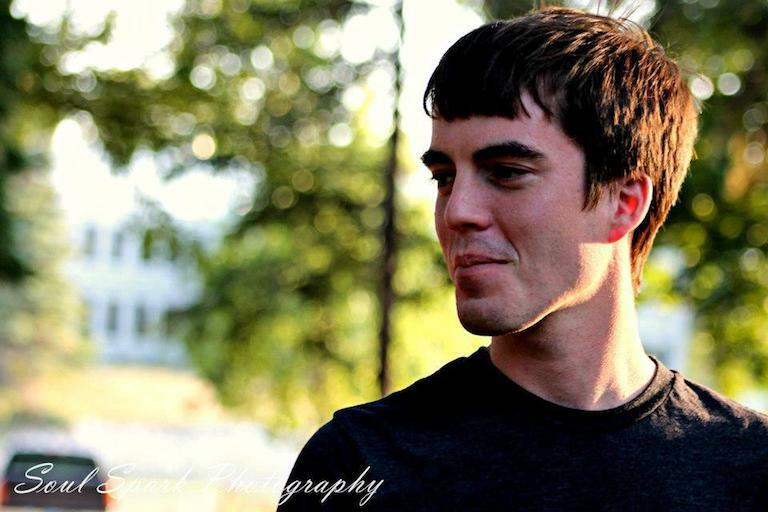 You are at:Home»Personality Interviews»Kevin Kohen Interview!!! 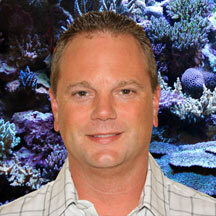 Kevin Kohen, the Director of LiveAquaria.com and designer of the Drs. Foster & Smith Aquaculture Coral & Marine Life Facility has recently taken the time to do an exclusive email interview with the AquaNerd Blog. 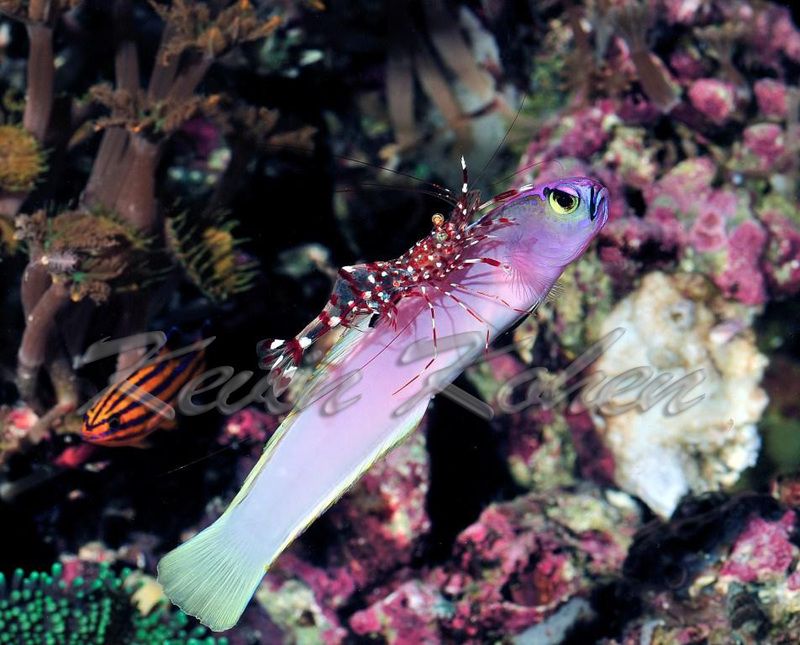 He even sent us a few photos that he has taken of some absolutely gorgeous aquarium livestock, including the legendary Blue Stripe Tamarin Wrasse. Mr. Kohen currently oversees the operations of the aquaculture facility and is actively involved in the husbandry and propagation of all of the aquatic life. 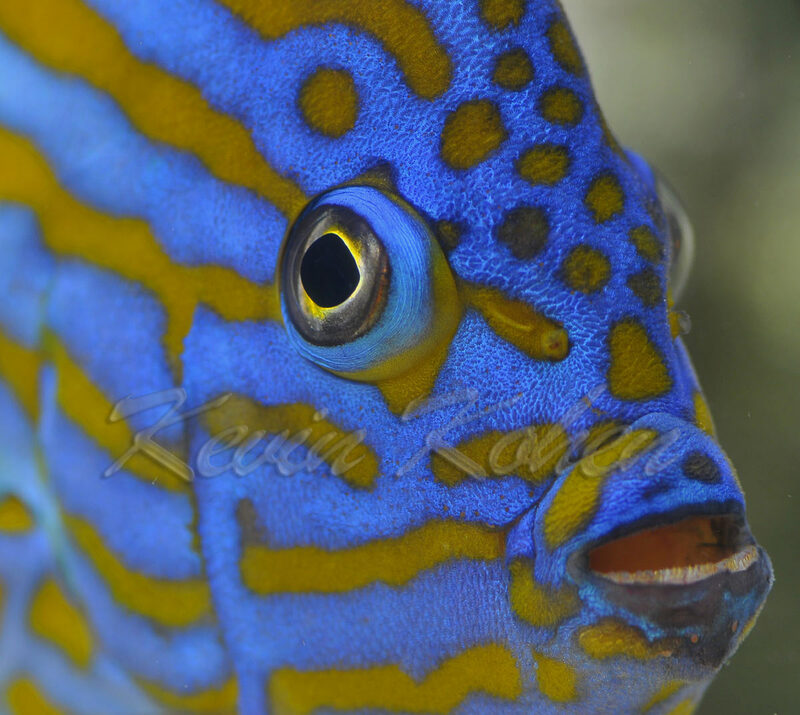 Kevin also maintains a personal website where he shares a little additional information about himself, some photography tips, and gives us a look at his personal aquariums. AquaNerd: Thanks for taking the time to sit down with us today Mr. Kohen. To start things off, why don’t you tell us what have you been up to lately. Any new projects, presentations, etc? Kevin Kohen: I have been staying busy as usual. This is an exciting time in the marine fish industry, as we are seeing more and more unusual species than every before. Having the responsibilities to not only purchase the livestock, but also run Drs. Foster and Smith’s Aquaculture Coral and Marine Life facility is demanding, and is unlike a 9-5 job. I really enjoy working with our suppliers, as well as handling and conditioning the animals in our facility, as this is surely my passion. Upcoming projects include the installation of a custom built 180 gallon aquarium that I am really excited about. This aquarium is a standard Perfecto 72 x 24 x 24 with two permanent dividers to section the aquarium into three 24 x 24 x 24 compartments, all of which have built in overflow boxes. This will allow for one filtration system to be utilized on basically three aquariums. Hopefully next week I will have some time to tear down my existing mixed reef aquarium and install the new aquarium. 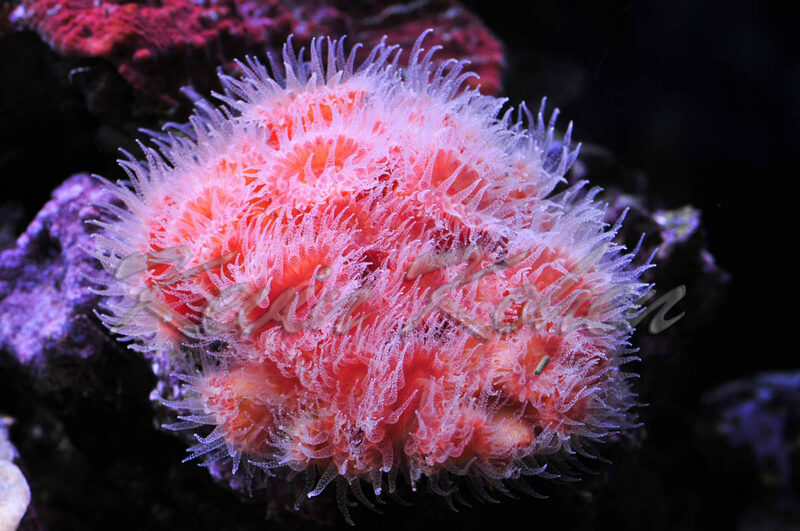 As far as livestock, the initial plan is to maintain one compartment with hardy soft corals and mushrooms as well as Zoanthus, one with primarily large polyp stony corals, and the third compartment with Azooxanthellate corals that can be fed thought the day and night via a dosing pump. As far as presentations I am looking forward to speaking at Dallas Fort Worth Marine Aquarium Societies yearly Next Wave 2010 conference on February 27th, then the following weekend I will be speaking in Maryland at the Chesapeake Marine Aquarium Society’s monthly meeting on March 6th. From there Drs. 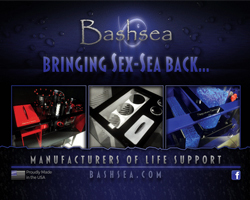 Foster and Smith will be setting up our boot at MAX – Marine Aquarium Expo on April 10th and 11th. AquaNerd: Since you do travel quite a bit and give conferences and speeches, what effect does this take on your personal aquariums? Also, where all do you or have you traveled? Kevin Kohen: I gave up having an aquarium at my home long ago as I would work all day (long days in the fish biz – 12-15 hours per day are the norm for me), then go home and work for a few hours per night on my aquariums. That normally doesn’t sit well for a relationship with a spouse or girlfriend. Since 2002, all of my aquariums are in my office at work, and they are maintained by the staff here while I am away. The very best thing for hobbyists is to try and get their spouse or significant other interested in the hobby or at least train them properly for when you are away. Having a neighbor or friend that lives close to come by and check things out daily while people travel, then automate as much as possible making sure there is redundancy and fail safes in place in the event that something were to malfunction. I have traveled extensively for my job and for recreation/vacations. Outside of the country I have been fortunate enough to visit places such as Costa Rica, Mexico, and Belize, all throughout the Caribbean Islands, Curacao, Hawaii, Singapore, Malaysia, and Fiji in the South Pacific. The most breathtaking for me was having the opportunity of a lifetime diving in Fiji for 11 days with my good friend Christopher Buerner, owner of the marine importer/wholesale company Quality Marine in Los Angeles California, and Tony Nahacky famed fish collector known for the collection of Centropyge nahackyi. We did twenty-one dives in 11 days around Pacific Harbor off the southern coast of the big island of Fiji which is called Viti Levu. We frequently hear in the new about reef degradation and the loss of habitat, but there are places in this world that are a bit more remote, with little to no population pressures to negatively impact coral reefs. Diving in Fiji really showed me that in more remote places of the world, there are some pristine coral reefs that appear as though we were the only ones who have every been there. Diving in Fiji was very beneficial to see the different habitats where corals grow, and where they are harvested sustainably for the aquarium trade. I think many would be very surprised about the habitat where a good number of coral species are harvested from, and with the exception of most Acropora spp. the habitat is far from crystal clear water with the corals basking in the sun all day. AquaNerd: How, why, and when did you get started in this hobby? What caused you to stay in the hobby for so long, eventually living it and breathing it every day? Kevin Kohen: The first aquarium I ever saw was at my godfather’s home in Michigan. This was a basic 30-gallon aquarium with some angelfish, tetras, and a ropefish (Erpetoichthys calabaricus). For some odd reason I was fascinated with the ropefish, with it’s long slender body and snake like appearance was like nothing I had ever seen. I used to sit in front of the aquarium just gazing at the fish, while everyone else watched television. Shortly thereafter my godfather purchased me a 10 gallon starter kit, and from then on I always had aquariums. As a teenager I set up my first marine aquarium at the age of 13, and in just a few years I was up to a total of three. By then it was the early 80’s, and I worked in a local pet store spending the idle time reading FAMA (Freshwater and Marine Aquarium Magazine) as well as MFM (Marine Fish Monthly) which were my two favorite publications. I went on to set up my first “reef style” aquarium, a 29-gallon lit by Duro Test power twist light bulbs, and a Phillips Actinic 03 lamp from Europe. This was the most exciting time for me, as we were venturing into new territory, as the now famous “Mini Reef” style aquariums in Holland were being published in FAMA, and invertebrates, live rock, macro-algae and some basic stony and soft corals were just starting to become more available from some US based importers/wholesalers. I was then obsessed with fish and aquariums during my teens, as the passion eventually grew to maintaining 21 freshwater aquariums in my parents basement. My focus was on breeding Malawian and Tanganyikan Cichlids from Africa which were in high demand as this helped pay for my marine aquarium additions. I am still very proud of the fact that I was one of the first to successful spawn and rear the African catfish, Synodontis multipunctatus, as there were no captive raised specimens available in the mid 1980’s. Eventually I was able to established a 135-gallon display for marine angelfish, tangs, and wrasse, along with a 75-gallon “Mini-reef” Style display with live rock, live corals, macro algae, and an array of smaller fish and invertebrates. These two aquariums were nominated by the Greater Dayton Aquarium Society for Saltwater Aquarium of the Year and the Reef Aquarium of the Year which was a great honor for me being only 16 years old. I am very thankful that my parents were so supportive of me and my passion for aquarium keeping, or I would never be where I am today. Kevin Kohen: What really inspires me is the continued quest for understanding and knowledge. To me, gaining more understanding of fish husbandry is the most fascinating and enjoyable part of the hobby for me. It’s very rewarding to have the ability to learn something new almost every single day, and then pass my observations along so hopefully others can benefit from my experiences. As far as some of the people that have always been an inspiration to me, folks like Scott Michael, Charles Delbeek, Julian Sprung, Jack Randall, Roger Steene, Richard Pyle, Rudie Kuiter, and the now retired Helmut Debelius are all at the top of the list. The biggest supporter of me is obviously my mother Carolyn and father Vincent, for without them I would most likely never be where I am today. I should also mention my good friend Scott Michel as well, as we share very common interests in our love for marine fishes, and he has always been a supporter of both myself and LiveAquaria. 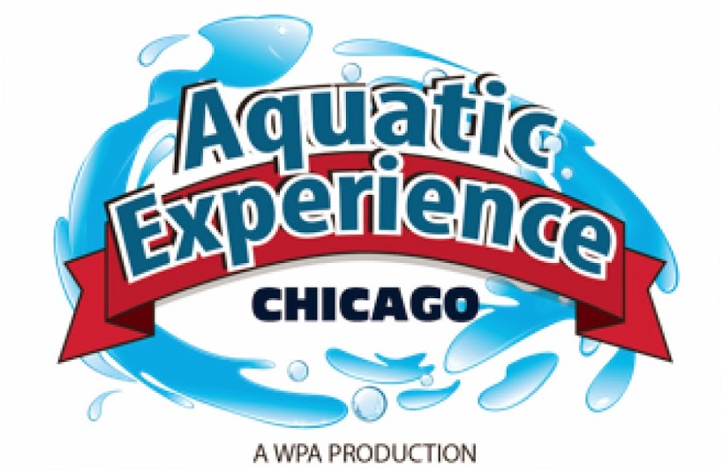 AquaNerd: What possessed you to pursue a career that is so closely tied to the aquarium industry? And what exactly is your “career”? Kevin Kohen: Taking this career path was a natural progression for me as I have been in the aquarium industry my entire working life. When I was 13 years old, my mother would drop me off at a local aquarium store in Beavercreek, Ohio where I would hang out for hours with the owner, Kim. I eventually started to help her in the store cleaning the saltwater aquariums as a summer job. . By the time I turned 16, I started working at one of the largest aquarium stores in Dayton, Ohio, called Aquarium House and Pets. I worked at Aquarium House for eight years, throughout high school and college, and learned an immense amount about the industry, and how to properly handle and care for hundreds of species simultaneously. I gained a ton of husbandry knowledge working with tropical freshwater fish, marine fish, invertebrates and corals. This was the best job in the world as I was responsible for ordering the marine inhabitants, as it was like being a kid in a candy store. After graduating from College with a Bachelors of Science degree, I accepted a position to run the operations of one of the largest tropical fish wholesalers in the Midwest: Gerber’s Tropical Fish. During this time I gained an immense amount of knowledge and experience with handling and shipping freshwater and marine aquarium animals on a grand scale. After working for Gerber’s for seven years, I accepted a position with Pet Warehouse in Dayton Ohio as the Livestock Manager. My first task was to prepare a detailed business plan, layout the navigation of a web site, and research and help write most of the content for, and launched the original LiveAquaria.com website which was launched in 2000. AquaNerd: How did you get hooked up with Drs. Foster and Smith/LiveAquaria? How long have you been with them? Kevin Kohen: In late 2001, Pet Warehouse was acquired by Drs. Foster and Smith Pet Supplies, and I was offered a position and moved north to Rhinelander, Wisconsin in January of 2002 to continue on with LiveAquaria.com. I have worked for Dr. Race Foster and Dr. Marty Smith for eight incredible years now, and am honored to have the opportunity to work with such an incredible group of talented people here at Drs. Foster and Smith. Kevin Kohen: My absolute favorite fish is pretty hard to pin down as I can appreciate almost every member of each family of fishes for a specific characteristic, interesting behavior/personality or beauty. 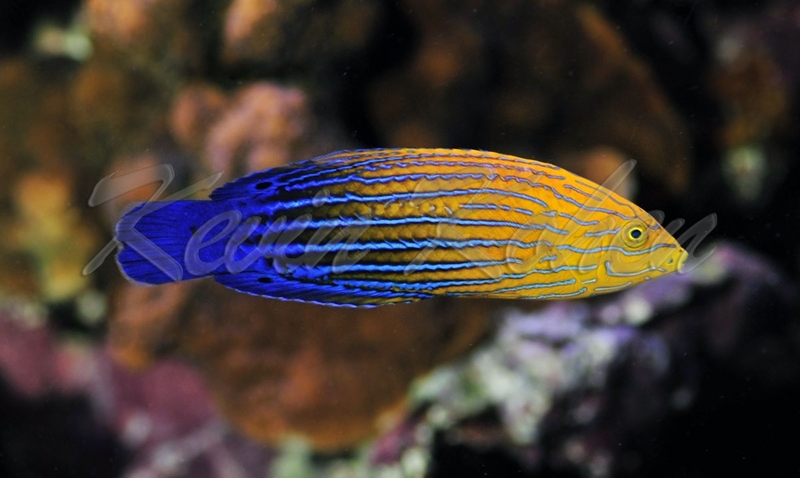 If I had to choose just one family of fishes, it would have to be Labridae (Wrasses), and out of that family the Blue Stripe Tamarin Wrasse – Anampses femininus would have to be the one species that I would consider my favorite fish. This Anampses femininus is one of the most challenging and difficult fish to maintain successfully in aquaria, and I have been very fortunate to have successfully cared for several of these fishes over the years. Kevin Kohen: My favorite aspect of the hobby is having the opportunity to observe the exquisite beauty of a reef aquarium, and gain a greater understanding of the animals that we keep in the home aquarium. It’s fascinating to just sit and observe the interaction of marine fishes and gain a greater understanding of each species. 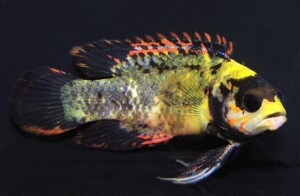 I should add that its very rewarding to be in a position where I have the ability to obtain some of the more unusual fish, corals or invertebrates, condition them properly, then offer them for sale on our web site so other folks with the same passion can have an opportunity to purchase the fish of their dreams. There is noting better than to see others enthusiasts have success with the animals we offer on LiveAquaria.com. 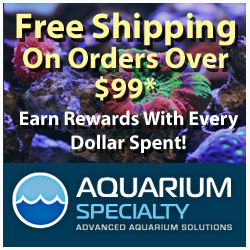 AquaNerd: What are your thoughts on aquarium filtration? Which one is your favorite/most effective (dsb, oversized skimmer, plenum, etc)? Kevin Kohen: My favorite filtration for low nutrient systems where one keeps (SPS) small polyp stony corals such as Acropora spp., is a bare bottom aquarium, run with a large sump, efficient skimmer, calcium reactor, and massive water movement. My reasoning behind utilizing this type of set up for these corals is that I have access to remove detritus easily from the bottom of the aquarium and from the sump. 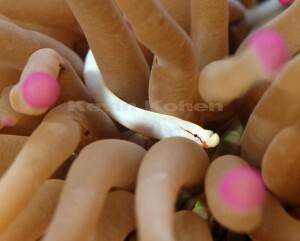 Utilizing a calcium reactor allows me to maintain a very stable alkalinity which is a must when growing Acropora spp. in home aquaria. Deep sand bed (DSB’s) work well in mixed reef displays and is a very effective way of maintaining stability and balance along with a good population of micro-organisms. DSB set ups also allow one to maintain fishes that utilize natural food sources and require a sand bed to bury themselves at night. Wrasse of the genus Macropharyngodon and Anampses are two such examples of fishes that would require a sand bed. The most important thing to understand is that there is not one piece of magic equipment or one way (bare bottom, plenum, DSB) to achieve success. Every technique and piece of equipment has its benefits and drawbacks, but when applied correctly and the equipment and set-up style is maintained accordingly one can achieve success. Each aquarium is different, having different animals, diversity and dynamics, which is why there is not one best method or best piece of equipment for everyone. 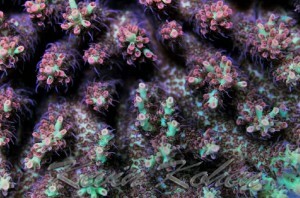 Kevin Kohen: It pretty astonishing to see this trend with some of the boutique or designer corals that fetch some incredible amounts of money. Most of these corals (not all) come in from time to time on imports from various regions around the world as large colonies, and its downright shocking to me, that some people are willing to pay so much money for a tiny frag or one polyp of a specific color morph of Zoanthus. I always joke with some friends in the industry, that it wouldn’t surprise me to see some people trying to sell one corallite of an Acropora spp. and measure it by millimeter. I personally hope that day never comes, as we all need to be aware that this morph or species is not the only one that came out of the ocean, or is the only one on the planet. Kevin Kohen: I really enjoy motorsports such as Formula 1 racing, IMSA/Sports Car racing, and WRC (World Rally Championship) racing. Living in a place where we have some harsh winters with a lot of snow, I also enjoy snowmobiling, am an avid photographer, and enjoy fishing. Kevin Kohen: Years ago, books and magazines were the only place to find reliable information on aquarium keeping and about the inhabitants we care for. Now the internet obviously is the best place to find up to date information. Web sites such as ReefCentral.com have singlehandedly advanced our hobby more than any other source in my opinion in the last decade. I am very thankful to John and Ryan for offering this platform which benefits all of us who are so passionate about marine aquaria. Kevin Kohen: First and most important is to learn as much as you possibly can about the requirements of the animals you wish to keep in your aquarium, and make sure you have the ability and expertise to properly maintain them, it is our moral responsibility. Second, be patient, things in this hobby never happen quickly, weather you’re establishing an aquarium or waiting for a specific animal to become available or will be ready to take home from the local store. AquaNerd: How do you take such good pictures? Any particular setting or camera/lens combo? Kevin Kohen: Taking aquarium photographs is definitely more challenging than most other subject matter. I have spent countless hours testing new techniques, using different equipment, and trying different settings on my camera, and that means tens of thousands of images are not so good and end up in the trash…thank goodness for digital cameras! This is one hobby where putting in the time to gain the experience is really is a must. Understand how the speed and aperture settings work, and what ISO settings are ideal in what situations is an important part of taking good photographs of fish, corals, or invertebrates in the confines of an aquarium. I currently use a Nikon D300 with a Nikon SB800 Flash and depending on the situation prefer to utilize a Nikon 60 mm macro or Nikon 105 mm macro lens, always shooting in the highest resolution possible. Another part of photography that is oftentimes overlooked is Photo editing. Understanding and utilizing some of the basic techniques in software such as Photoshop or Nikon Capture FX is also an important aspect of photography. AquaNerd: Leaving thoughts or comments? Kevin Kohen: Aquarium keeping can be very rewarding and fascinating. With some patience, research, understanding, hard work and dedication anyone can be successful. We all need to remember, this hobby is supposed to be fun, and I think sometimes we can forget this simple fact. Happy Reefkeeping! All images used in this interview are courtesy of Kevin Kohen and are copyrighted by him. AquaNerd has exclusive permission to use these images as permitted by Mr. Kohen for this interview.